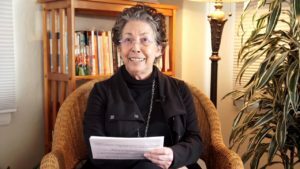 Seido Eishu Lee Lüssen deBarros passed away peacefully on March 6, 2019, surrounded by family, friends, and sangha. 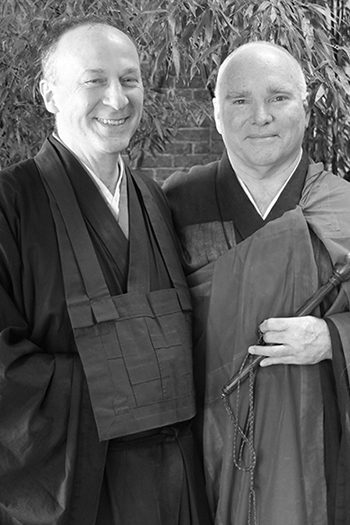 Lee was ordained a Soto Zen priest in 1989 at Green Gulch Farm by Sojun Mel Weitsman, receiving the Dharma name Seido Eishu, “Clear Path, Constant/Endless Effort.” He received Dharma Transmission at Tassajara in 1998 from Zoketsu Norman Fischer. Lee was a long-time meditator whose practice was first influenced by the teachings of Eknath Easwaran. Along with his wife, lay Zen teacher Martha deBarros, he lived for over ten years at Green Gulch Farm and Tassajara. He filled senior staff roles at Green Gulch and served as tanto (head of practice) at Tassajara. In 1999, responding to a call from inmates interested in starting a Zen group, he founded the Buddhadharma Sangha inside San Quentin State Prison. He went on to serve diligently and with great heart as the Sangha’s Head Teacher until his retirement in 2015. Since the day Lee founded it, the San Quentin Sangha has met nearly every week, bringing the lineage of Dogen Zenji and Shunryu Suzuki Roshi behind the prison walls and touching the lives of hundreds of inmates and volunteers. 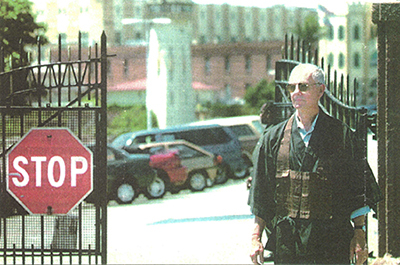 Lee conferred the Bodhisattva precepts on many Zen students, including over thirty inmates and several non-inmates lay ordained inside San Quentin over the course of four jukai (lay initiation) ceremonies between 2002 and 2015. 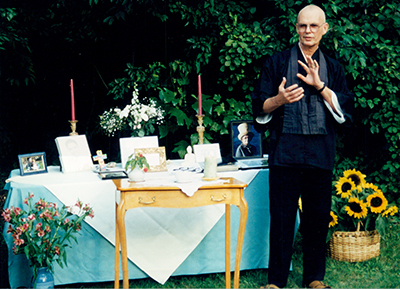 He performed one priest ordination, for Jiryu Rutschman-Byler, held at Green Gulch Farm in 2002. 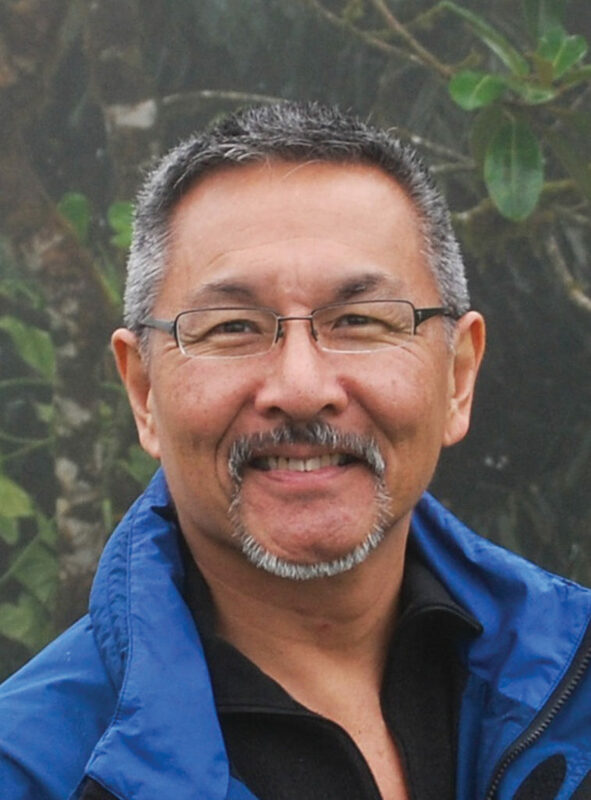 Lee was deeply involved in and much beloved by the Marin County Interfaith community. He was active in the Marin Interfaith Street Chaplaincy, serving as street chaplain, board member, and eventual board chair, and also in the Marin Interfaith Council, where he served on the board. In addition to teaching at Green Gulch Farm and San Quentin, he taught regularly at Dharma Eye Zen Center, Dominican College, and the Redwoods Retirement Community. Lee was born on November 5, 1936, in Brooklyn, NY, the son of Leo and Catherine deBarros. 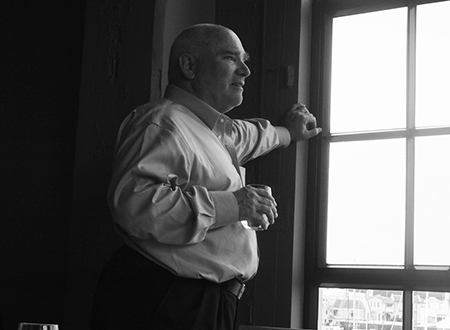 He grew up in lower Manhattan and Rye, NY, and attended Harrison High School and Rensselaer Polytechnic Institute. In his youth, Lee developed a reputation as an accomplished chess player and, after overcoming polio, became an excellent tennis and basketball player. At 20, he relocated to Pasadena, CA, and then moved north to attend graduate school at University of California at Berkeley. He spent time working as an elementary school teacher, and in the 1970s and 1980s served as the senior director of Marin County Rehabilitation Services. He is survived by his wife, son, three stepchildren, and six grandsons. A memorial for Lee will be held at Green Gulch Farm at 4:00 pm on April 27, 2019. If you plan to attend, please RSVP at Evite. 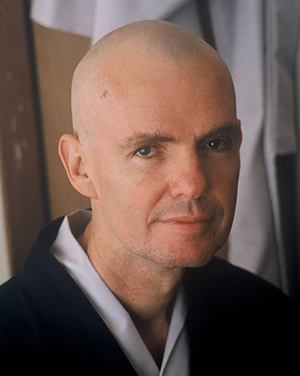 Jack Weller’s study and practice with Shunryu Suzuki Roshi was one of the most important times of his life. The deepening of his understanding of Suzuki Roshi’s way continued throughout his life. Jack passed on December 17, 2018, at the age of 79. 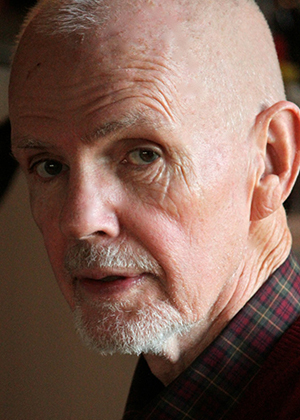 Jack came to the San Francisco Zen Center in 1967 when he was in his late twenties. He had recently had open heart surgery and was under stress at UC Santa Barbara working on his PhD in philosophy. He knew he needed a radical change. A friend sent him about an article about Tassajara Zen Mountain Center from the Village Voice. It described Suzuki Roshi and the newly founded Buddhist Monastery near Carmel Valley. Jack intuitively knew this was where he needed to be. After a brief period as a student at Tassajara before it had officially opened, he went to the city, At first he stayed in a hotel on Van Ness Avenue near Bush Street and went to zazen (meditation) on the balcony overlooking the main hall inside Sokoji, a Buddhist temple. Zazen was for 40 minutes with a 10 minute walking meditation and another period of zazen. Everyone else then got up to do the chanting service, but he continued sitting in the balcony in full cross-legged lotus position. The next day someone told him to join the service, so he did. 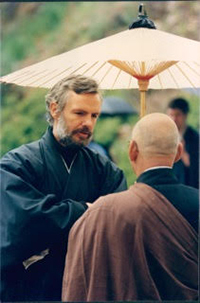 He first met Suzuki Roshi as he bowed to him when leaving morning service, as was the custom. He felt that Suzuki Roshi really looked at him and saw him. Jack continued coming back. It wasn’t long before he found a place to stay across from Sokoji. One of his roommates was Reb Anderson, who later went on to become an abbot of the Zen Center. They would go to early morning zazen together. He also met Katagiri Sensei, who was an assistant teacher with Suzuki Roshi. Katagiri recommended that Jack finish his PhD oral exams (which would give him an MA) before going to Tassajara. Thus, Jack returned to Santa Barbara in the Spring of 1968, studying and working as a teaching assistant. At the end of the summer he was able to pass his exams and go to Tassajara that fall. He moved back to San Francisco, not having the funds to continue at Tassajara, and started looking for part time teaching positions. At the same time he was working on his PhD thesis in philosophy. In September of 1969, while the building was still in escrow, Jack was the first person to stay overnight at the Zen Center’s City Center at 300 Page Street. The first night, Jack lit incense from Eiheiji in Japan, one of the two main temples of the Soto Zen sect. He walked around each floor of the building with the lit incense, and then sat zazen. Bob Halpern and Niels Holm soon moved in, joining Jack before the day in mid-November when the whole building was ready for occupancy. Suzuki Roshi died on December 4, 1971, on the first day of the zazen intensive seven day Rohatsu Sesshin. Jack had just moved into the nearby apartment building at 340 Page Street and was the first Zen student to live there. Gradually, as the other tenants moved out, Zen students and their families moved in. One such student was Mary Watson, who met and talked to Jack as he was doing his house job of vacuuming the halls. A few years later, they were married and lived together at 340 Page for over 38 years. Their son Daniel played with other children living in the building, sliding down stairs on mattresses and playing baseball in the hallway of the third floor. 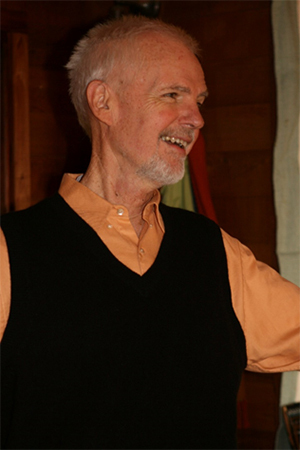 At City Center, Jack taught courses in Zen and Buddhist art. 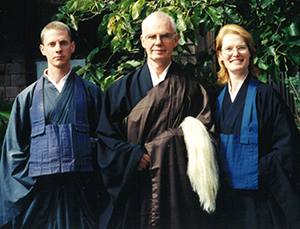 Katagiri, now called Roshi, asked Jack to teach a course on the Self and Not-Self teaching in early Buddhism, which he was studying for his PhD, and he taught a course on Abhidharma with Kazuaki Tanahashi. Though tempted to be ordained as a priest, Jack felt strongly that his path was to be a different kind of teacher. During his academic life, he had the opportunity to study with Edward Conze, Huston Smith, and Paul Wienpahl. Jack has taught philosophy and Buddhist Studies at San Francisco State, the California Institute of Integral Studies, Mills College, The University of California Extension in San Francisco, UC Santa Barbara, and John F. Kennedy University. He was the founding director of the Arts and Consciousness program at JFK for 10 years. At the California Institute of Integral Studies, Jack created a master’s degree in Expressive Arts Therapy which he ran for 20 years. This unique MA program combined all of the arts—dance, music, art, sculpture, poetry. Thus, a student would graduate as a therapist skilled in using these modalities according to the needs of their clients. Jack searched for teachers who embodied the same lovingkindness and compassion as he’d found with Suzuki Roshi. He practiced with two women teachers, Tseda Lehmo from Tibet and Rina Sirkar from Burma. In the last years, he was a student of Thich Nhat Hanh, the Vietnamese monk and peace activist. He, Mary, and Daniel attend his retreats in various parts of California. Jack was an avid San Francisco Giants fan. When Daniel was about six years old, they started going to games and spring trainings in Arizona together. He and Mary went backpacking in the Sierras, sometimes with Daniel. One of their favorite places to go was to Lake Eleanor in Northern Yosemite. Starting when he was three, Daniel would ride a small horse which also carried much of the gear. In order to get a break from the stresses of Jack’s work, they would go for a weekend a month to such places as Inverness, Downieville, a gold mining community in the lower Sierras, Pescadero, and the Bay Area Delta. When Daniel was four, they went on a trip to see relatives in Manchester, England, and then visited in Belgium and France. Other trips included going to Bali, Scotland, a number of the Hawaiian Islands, Japan, to Costa Rica with Daniel, and a trip Mary and Jack took to France to follow the footsteps of Jack’s favorite artist, Van Gogh. Although Jack was sociable and enjoyed traveling, he also had the ability to be content just being at home, reading and studying. He was truly present in what he was doing and in where he was. He accepted the lessening ability of his body to function well with grace, but he also was fearful of what would happen next. It was a deep practice for him of being out of control of his body. He first was diagnosed with Parkinson’s and a few years later with congestive heart failure, the latter being the cause of his death. Jack has written a great deal about his time at Tassajara and early Zen Center, which include stories of his teacher Suzuki Roshi. He was close to finishing a book with these writings and recently gave a talk at the City Center in which he read from the manuscript and talked about it. Listen to that talk and read the transcript. With great sorrow, we announce the passing away of Shokan Jordan Thorn. 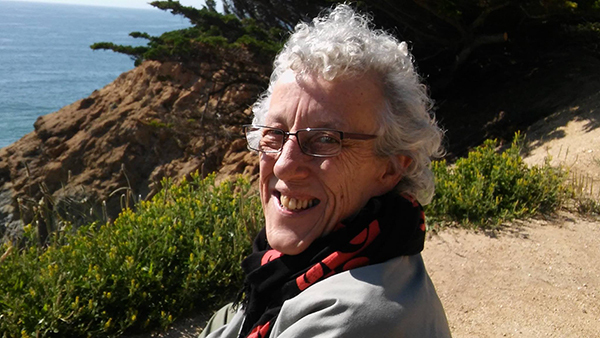 Jordan was a constant warm presence at San Francisco Zen Center, welcoming and caring for students, staff and employees, visitors and Board members, and overseeing many areas of SF Zen Center practice and administrative operations. Posting on cuke.com by David Chadwick. We take refuge in Buddha, we take refuge in Dharma, we take refuge in Sangha. I met Jordan at Green Gulch in the late ’80s. I was new to practice and he had returned to Zen Center after living for a number of years in Berkeley. I remember the time I first heard him in Reb’s Book of Serenity class. Somebody erupted in laughter. The sound was big and expansive. Fresh and lively. Nothing was being held back. You could feel the breadth and depth of it. Jordan didn’t waste a lot of time trying to answer such “why” questions. He was too busy enjoying and sharing his life with friends and students. I found him to be a wonderfully inspirational dharma friend and teacher. I’ll never forget one lecture he gave a few years back where he invoked Spiderman as a model for Zen practice. After all, Spiderman was just an ordinary, slightly weird guy who developed super powers. So he started saving people. No big deal. Just doing what came naturally. Nothing special. But, in fact, it was very special. Just like Jordan. I count myself as very, very lucky to have known Jordan and I loved him dearly. He wasn’t bigger than life—he was life itself. Jim Fitton with Jordan after his jukai initiation ceremony in April 2012. Jordan at Greens Restaurant. Photo by Shundo David Haye. Zoketsu Norman Fischer will officiate for Shokan Jordan Thorn’s funeral on Sunday, August 5 at 10 am. For practical queries, call the Front Office at 415-863-3136. Program for Funeral Ceremony (PDF). For more information, call 415.863.3136. There is an accessible entrance. The event will be Livestreamed to accommodate those who are not able to attend. Del Carlson passed away on the morning of November 7 in Sarasota, Florida. 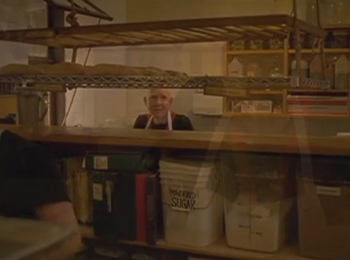 Del came to Tassajara in 1969 at the invitation of Yvonne Rand and spent many summers working in the Tassajara kitchen. He also regularly joined the community at Green Gulch Farm for practice periods. We hold him in our thoughts. 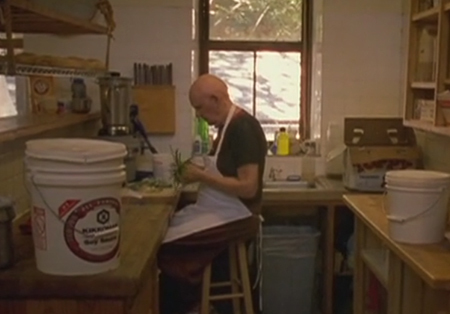 This video by cinematographer Frazer Bradshaw opens with Del working diligently in the Zen kitchen at Tassajara. Funeral Ceremony at City Center on Friday, December 15, at 4 pm in the City Center Buddha Hall. There is an accessible entrance. The event will be Livestreamed to accommodate those who are not able to attend. Reverend Gengetsu Junsei Jana Drakka departed her body on October 28 at 9:16 pm. Please join us for a memorial in her honor at San Francisco Zen Center on Thursday, November 9 at 6:10 pm sharp. With her “Zendo Without Walls,” Rev. 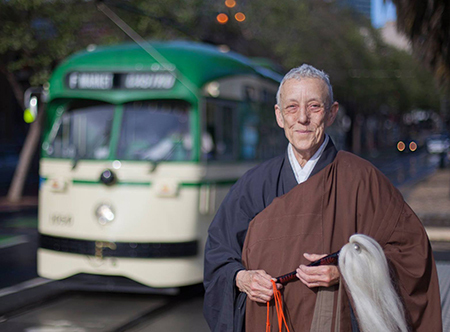 Junsei Jana Drakka brought the Dharma to many of San Francisco’s poor, houseless, and marginalized communities. She created and taught Harm Reduction Meditation to support people facing great stressors. She could often be seen on the streets of San Francisco giving comfort to people who were suffering, and her presence will be greatly missed. Jana wanted you to know that loving you was a great joy in her life. Like her teacher, Zenkei Blanche Hartman, she felt that kindness is one of our most important practices. She said, “There is never such a thing as too much love.” This is a basic realization that has sustained her in the past difficult days, freeing her to do her inner work despite the pain. Prior to the memorial, there will be the usual evening period of zazen/meditation starting at 5:40 pm (please arrive by 5:30 pm). Anyone who is attending the memorial is welcome to join the period of zazen beforehand. The memorial will begin promptly, and parking is scarce, so please allow yourself extra time to park if driving. This event is wheelchair accessible. San Francisco Zen Center is at 300 Page Street at Laguna. Entrance to the memorial will be at the Laguna Street double-door entrance (enter through right-hand door). 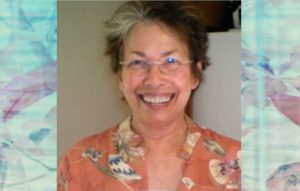 Junsei Jana Drakka dies at 65 by Lilly Greenblatt posted October 30, 2017 on the Lion’s Roar web site. 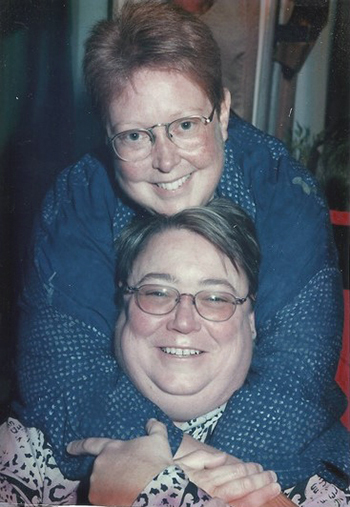 Hilary Parsons and Lin Zenki were passionate women. They were lovers―loving each other, their community of friends, and their lives in practice. They were also fighters―New Age warriors fighting for social justice as nurses, political activists, and as practitioners. Hilary’s practice began with martial arts and then evolved when she became a student of Ruth Dennison. Lin’s practice began in her college years with Francis Cook at UC Riverside. It was the night shift on an oncology ward where Hilary and Lin’s relationship began and so did their joint devotion to the dharma. 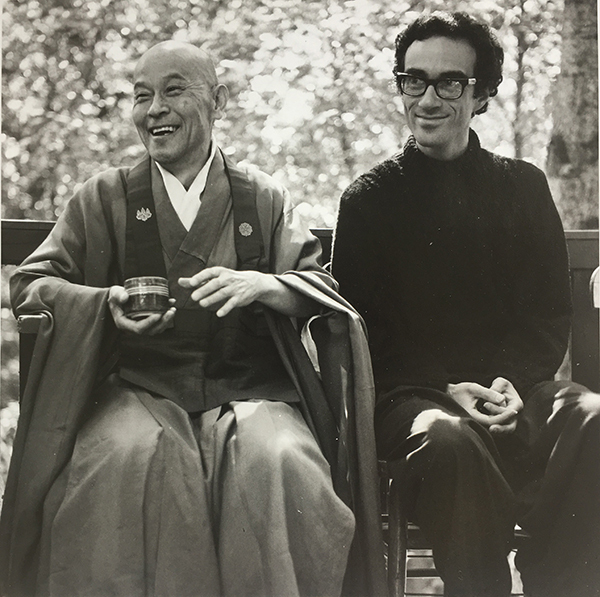 They lived and practiced together at San Francisco Zen Center for many years. Their nursing careers followed the course of the AIDS epidemic. Lin was one of the first nurses to care for patients with this mystery disease. She, along with other UCSF nurses, were recognized in And the Band Played On: Politics, People and the AIDS Epidemic, a book by Randy Shilts that was made into a film. Lin later worked with HIV prevention programs for heroin addicts. But as her health weakened and she could no longer do hands–on nursing care, Lin transitioned to a case management program for patients with complex medical problems. However, taking her difficulties in stride, she kept working and learning and earned her MSN in nursing from Holy Names University. delicious snacks, and, of course, CHOCOLATE AND COOKIES! baby great-grandson Aiden – so he may know his great-grandmother through your eyes when he grows up. I remember meeting Lee Lipp in the early 2000’s when some of us practitioners of color and our white allies created a few “Diversity as Practice” events both at San Francisco Zen Center and in the East Bay. These memories also reminded me of how long and how deep Lee’s commitment was to the practices of inclusion, multiculturalism, and anti-racism within the total context of the Dharma. She was an ardent ally, maybe because of what she said, what she believed, but even more than that, because of how she moved and acted in the world. She fully understood and felt how intention-of-heart connects to action-in-world connects to impact-on-others. Her felt understanding allowed the beautiful qualities of humility and leadership to emerge simultaneously and blend seamlessly with how she was in the world. Along with having her clinical private practice, her dedication to supervise interns and clinicians at the Haight Ashbury Clinic, and serving on the Board of Buddhist Peace Fellowship, she involved herself in anti-racism work and diversifying the reach of the dharma by being involved with the efforts at both San Francisco Zen Center and Spirit Rock Meditation Center for over 15 years. She contributed to multicultural teaching teams at East Bay Meditation Center where she brought her deeply impactful work of Transforming Depression and Anxiety workshops to diverse communities. She also assisted EBMC by managing and coordinating their Continuing Education Unit program. In 2012, Lee graduated from the fourth iteration of Spirit Rock’s Community Dharma Leaders training program which was ground-breaking in its diverse demographics and intention to serve diverse communities. She was totally in her element and was a deeply engaged participant and resource to both the training group and the training team. Thank you, Lee, for being such an ardent ally who has been consistent in bridging the difficult complexities of culture and identity across space, time, and lineage. But even more, I bow to you as a precious member of family. You are dearly missed.